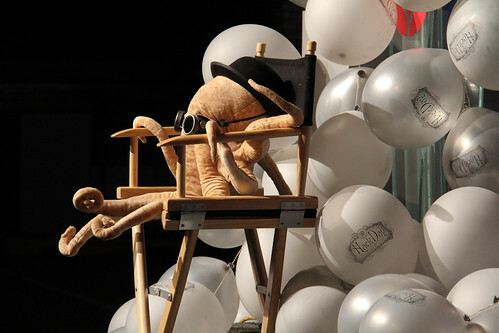 I had a really hard time picking favorite photos from this year's Hack Day, but I think that this dramatic profile of Andrew T. Octopus, Esq. is probably going to edge out all of its competition. Because, well, it's an octopus. In a hat. And goggles. On a side note, Hack Day was a complete success--it's hard to overstate my satisfaction. Smooth, well-executed, and fun for everyone who participated. And I'm proud to have been a part of making it happen.